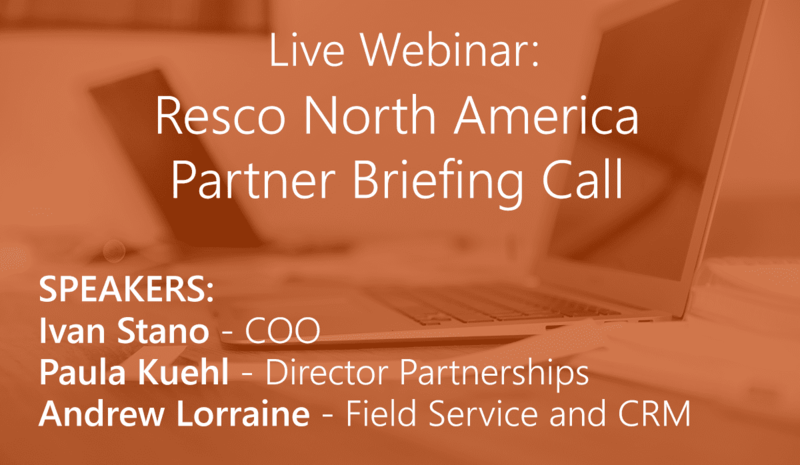 You won’t want to miss the next Resco North America Partner Briefing Call on May 9th, 2018. We have exciting product updates and new partner resources to share with you! If you have a question you would like to submit in advance for the Q&A session please email paula.kuehl@resco.net. As always, our priorities include, actively working with our partners to drive business and creating strategic initiatives. Join Ivan Stano, COO at Resco, Andrew Lorraine, Field Service and CRM mobility at Resco and Paula Kuehl, Director Partnerships at Resco to learn more about how Resco provides the ultimate tool for mobile businesses & processes.